Start planning your Christmas events now! Why are we talking about Christmas this early? 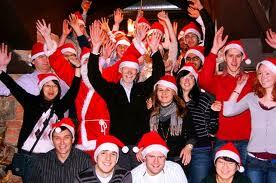 Because did you know that the most in-demand dates for Christmas parties are Fridays and Saturdays in December? Book early for your event to get the date you really want! 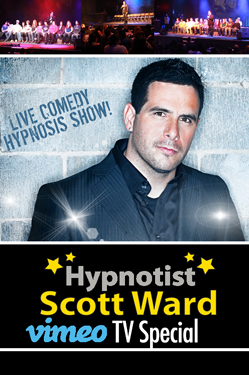 I have been performing comedy hypnosis shows at Christmas parties for over 8 years now and nothing beats a hypnotist for an interactive, fun-filled evening with laughter and food! For our friends and supporters out there, click on the poster above to digitally stream my vimeo TV special from your computer. There is a password and it is "special". 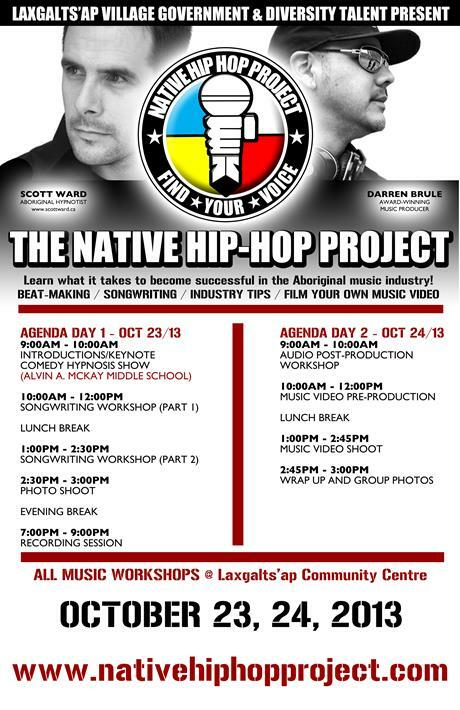 Darren Brule and I are currently delivering the Native Hip Hop Project to communities across North America. 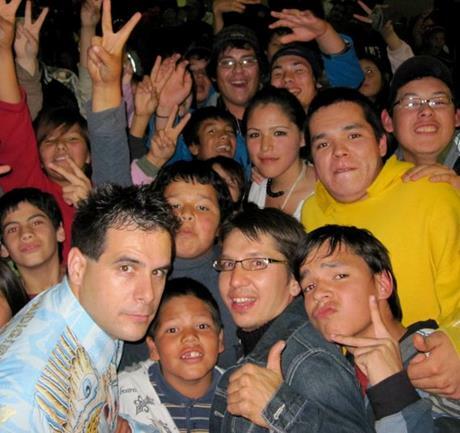 We will be working with the youth in the community of Laxgalts'ap, BC at the end of the month. If your community is interested in bringing this 2-day workshop to the youth, please contact our office for more information. This year, the GOING M.I.L.E.S team of Dakota House and I are excited to be travelling to the community of Wunnumin Lake and Kashechewan in Ontario to facilitate workshops and provide entertainment for their NAAAW events. GOING M.I.L.E.S continues to provide dynamic, interactive workshops to the youth on many issues affecting them today such as bullying, suicide, self esteem, drugs and alcohol, and many more. To find out how you can bring this positive program to your community, please contact our office. Our office has 10 free tickets to give away to our supporters. Please email scott@scottward.net if you want tickets! BOOK NOW FOR YOUR EVENT!